Planning a motorcycle trip can be hard work. Butler maps highlight the best paved roads in the country so you don’t have guess which roads are the good ones. 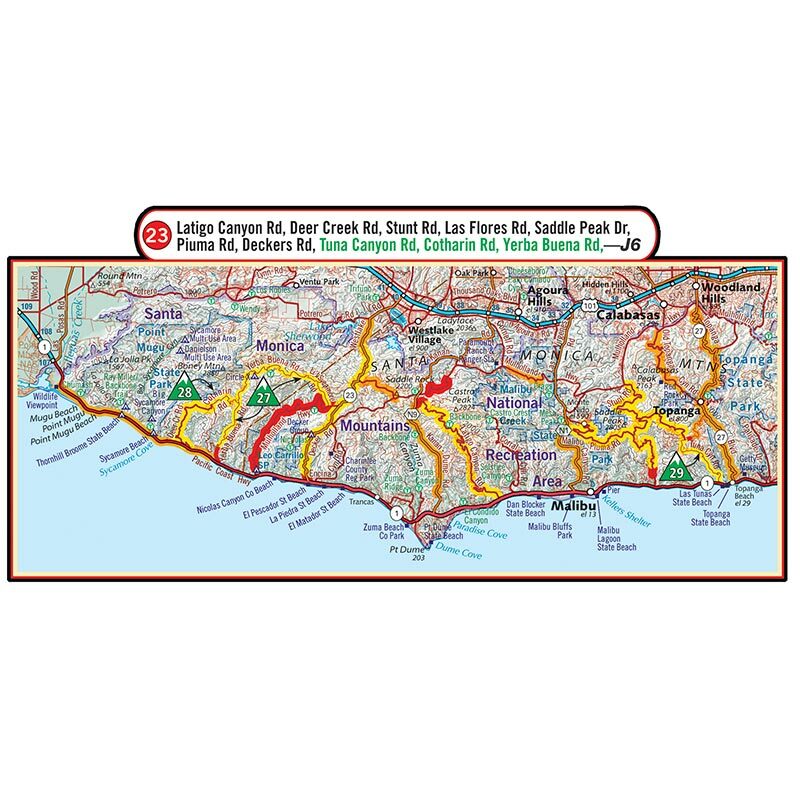 Our dedicated team rides and rates every paved road that you see featured on our maps, hundreds of thousands of miles so far, and our easy to read rating system clearly indicates the most exciting and dramatic stretches. Turn to the back of the map for detailed inset boxes, written descriptions, elevation profiles, points of interest, photos, and a whole bunch of useful information to help plan your journey. These are the most dramatic and exciting paved road segments in America, featuring steep climbs, tight switchbacks, deep canyons and million dollar views. As riders we constantly search for the perfect road. We seek that fleeting moment where everything fits perfectly together. We search for G1…these roads have an undeniable appeal that set them apart from everything else. Just a notch below G1, there are no stoplights or shopping malls here. G2 roads flow energetically from corner to corner gently bobbing and weaving. They meander past lakes, criss-crossing forests and provide an experience you can’t get on the freeway. Keep you head up as G2s can have fast sweepers, rapid elevation change, tight corners and everything in between. G3 is not your average road. Although these stretches of tarmac require the fewest criteria to make our list, don’t be fooled…G3 roads are twisty and exciting. Ditch the traffic and head toward a stretch of orange. you won’t regret it! 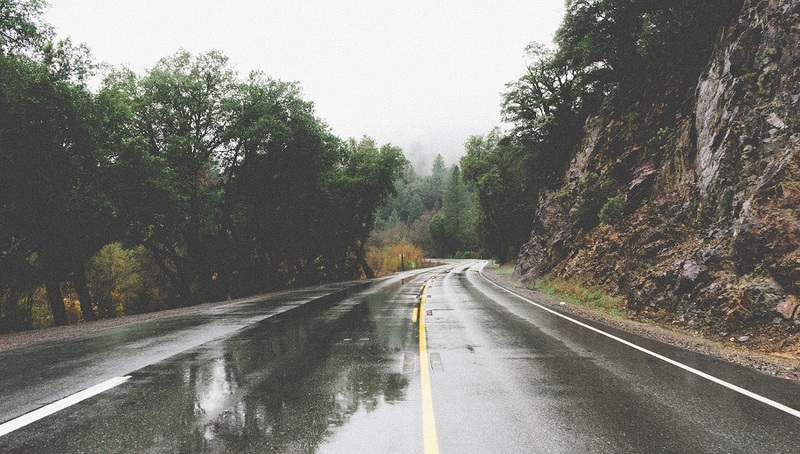 Not all roads were meant to be paved – some got paved anyway. Stuck between the dust of a dirt road and the smooth asphalt of a paved one lies the Paved Mt Trail. These roads have stood the test of time fighting for space among dense forest and cliff sides. Their fragile surface crumbling as they succumb to the rugged terrain they divide. Finding space for two cars to pass can be hard. Finding enjoyment on a bike easy. Paved Mountain Trails are for dual sport or dirt bikes only. The road can be tough on your gear. Butler Maps are designed to withstand abuse. Each Butler Map folds to 4.25” x 9” to easily fit in tank and tail bags. Butler Maps can be folded to fit within map cases. G1 rides are numbered and enlarged for your convenience. The expanded views of G1 rides are placed on a dedicated portion of the map. The best rides in the state are detailed in easy-to-read, highlighted segments. GPS waypoints are provided for G1 rides. Nothing ruins a good day of riding like a freak storm. Check out the climate guide for general information on seasonal weather or scan the weather QR code for up to the minute conditions. Had enough of the pavement? Try some dirt! Our recommended Dual-Sport roads are moderate rides picked for spectacular scenery, remote locations and link-ability to the best paved roads. One of the dominating features of our G1 rides is elevation change. Get a sense for exactly how much ducking and diving you’re in for by referring to a detailed elevation graph. Why use a butler map? Long, flowing, perfectly groomed stretches of asphalt. Tight, twisty, roller-coaster roads in hidden deserts and dense forests. These are the roads motorcyclists dream of. These are the roads Butler Maps shares with you. Each and every one of them! 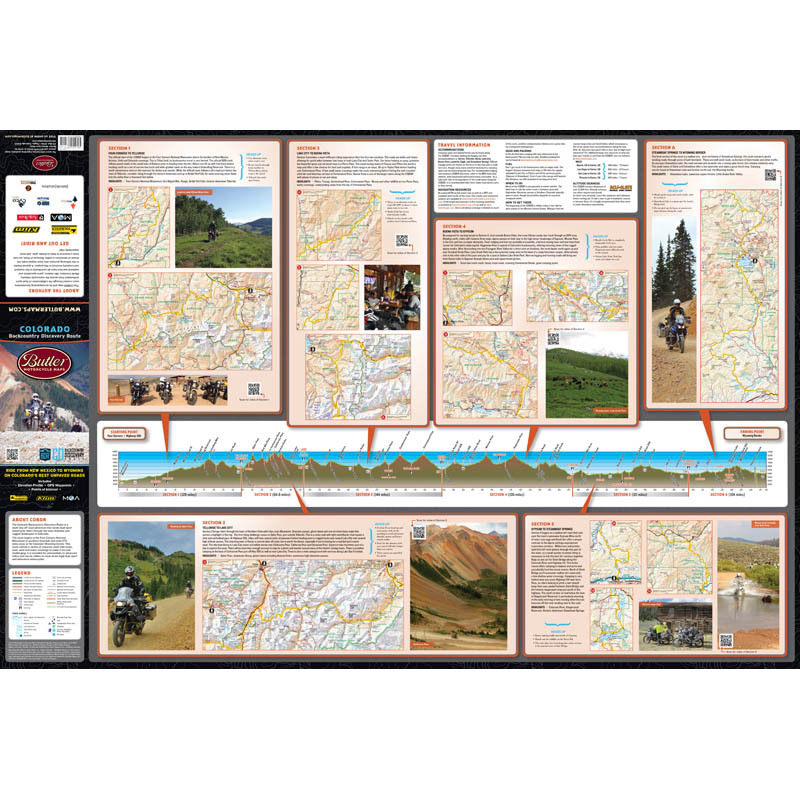 Butler Maps Inc. was created by four motorcyclists who run the gamut of enthusiasm. From young to old, road racer to casual cruiser, our unique team has had the pleasure of combining our varied backgrounds to create a map suitable for a any type of rider. Our passion for motorcycles is the common thread that fuels our campfire fodder and inspires our dream to share the best motorcycling roads we can find. What is a Butler Map? 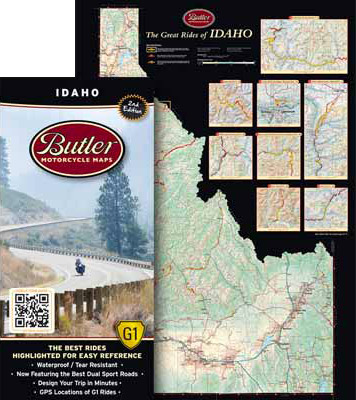 A Butler Map is a motorcycle specific road map that depicts the best segments of road in a given state and presents those segments in an easy to read format. 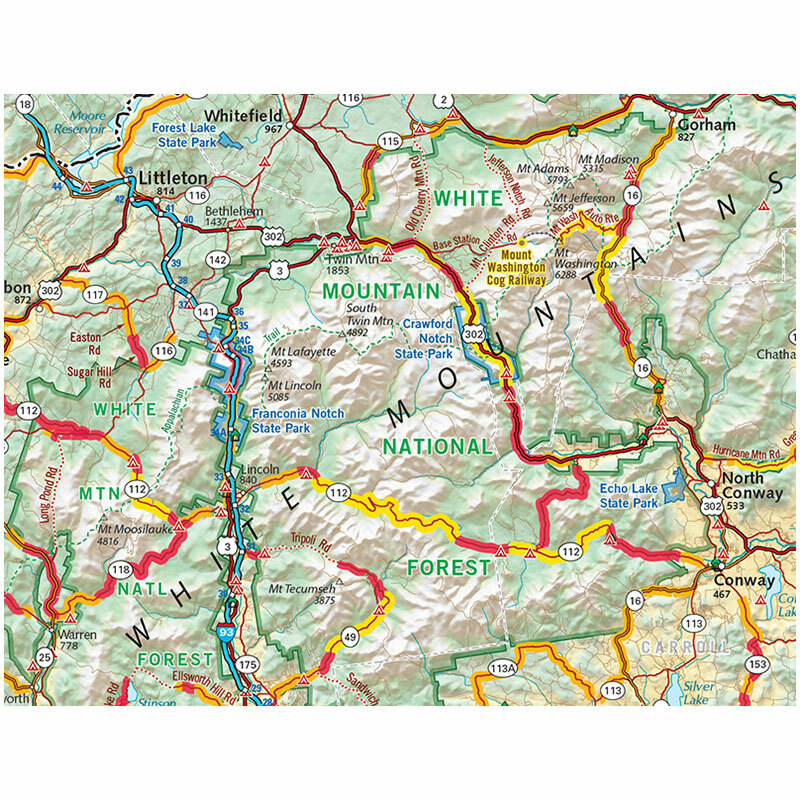 Each map is designed and printed in the USA on Waterproof / Tear resistant paper. How is a Butler Map better than your typical road map? Your typical road atlas will tell you how to get from point A to point B, but it won’t tell you which way is best if you’re looking for excitement on two wheels. Our maps allow riders to quickly and easily plan a route based around their own time constraints and preferences. We understand that most riders do not have months to explore Colorado passes or Utah deserts, nor do they have time to sift through the countless websites and blogs that divulge the best rides in say Wyoming or Montana. Our years of research and riding have eliminated the need to waste time searching and wondering if you’re getting the best out of your ride. With one map you can see where the best riding experiences are and decide over a cup of coffee which ones you want to ride. What states does Butler Maps currently cover? We cover most of the western US but are riding our butts off to get maps of every great road in the US. Keep an eye out. If we don’t have an area you need we probably will soon. How much is a Butler Map? Where can I purchase a Butler Map? Pick one up at your local motorcycle shop, favorite online store, National Parks, book stores and even cafes. What about apps and GPS? We built a really awesome site called rever.co. Go there to plan and share all your motorcycle rides. Use the app to track and navigate. All of the information you see on our paper maps can be found there. What did you put in your #HandlebarHorizons this weekend? Thursdays are for planning, because Saturdays are adventures. When the world just opens up to you... That's what makes travel worth it. What else makes adventure "worth it" to you?